Our Montana fly fishing guides know there in no better place in the world to fly fish for wild trout than Montana. Simply put there are more miles of blue ribbon water than anyone could hope to fish in a lifetime, consistent yet diverse hatches that keep trout feeding year-round, and great numbers of trophy sized fish to test the skill of even the most accomplished angler. Our guided Montana fly fishing trips are the best way for anglers to make the most of their Montana fly fishing experience. The Montana Angling Company offers custom outfitting, expert guiding, and authentic Montana experiences for anglers looking for the ultimate guided fly fishing trip in the Big Sky State. Our network of seasoned guides and unique lodging options allow us to work with anglers to build a custom fly fishing trip for all anglers, regardless of budget and skill level. 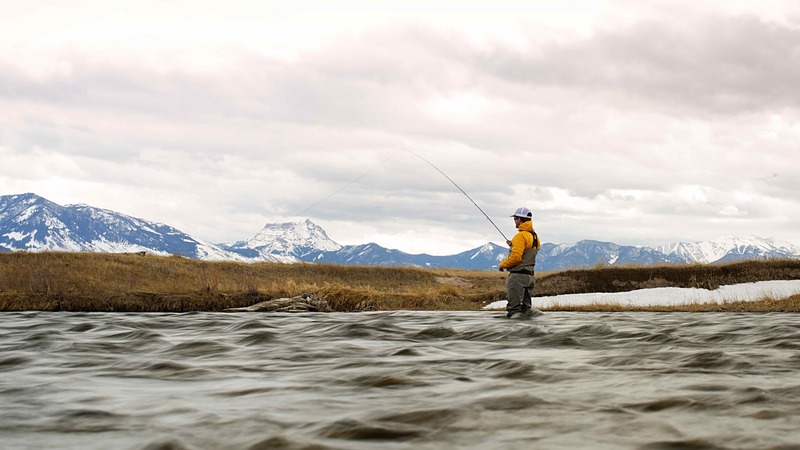 Experience fly fishing on classic Montana trout streams like the Yellowstone River, Missouri River, Madison River, Yellowstone National Park, and DePuy’s Spring Creek. Enjoy expert guiding from our friendly and professional guide staff. We believe your Montana fly fishing trip should be just as great off the water as it is on. Our lodging partners and recommended dining allow anglers to rest easy and eat well after a great days’ fishing. We have lodging options for every price-point and preference, from rustic river cabins to world-class all inclusive lodges. Fish Montana’s blue ribbon water, with our expert guides, and enjoy comfortable lodging on your next trip.